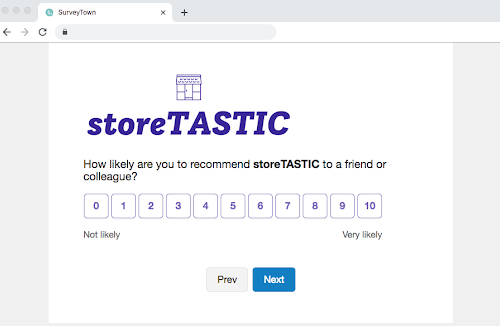 We made a bunch of updates to the look and feel of NPS (Net Promoter Score), CES (Customer Effort Score), CSAT (Customer Satisfaction Score), and Ratings questions and have given you more control to help them match your brand. 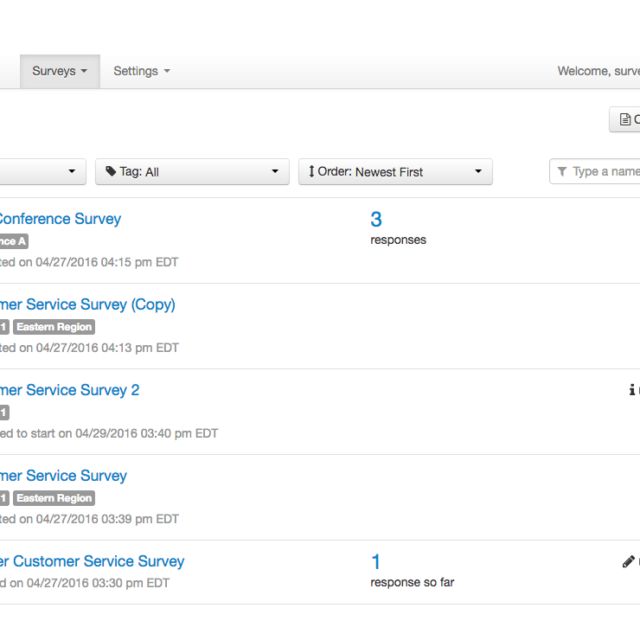 Our updates have been made to make your customer experience surveys more visually pleasing and customizable. No worries if you haven’t had time to check out all the new features—we’ve pulled them together to show you what we’ve been working on. 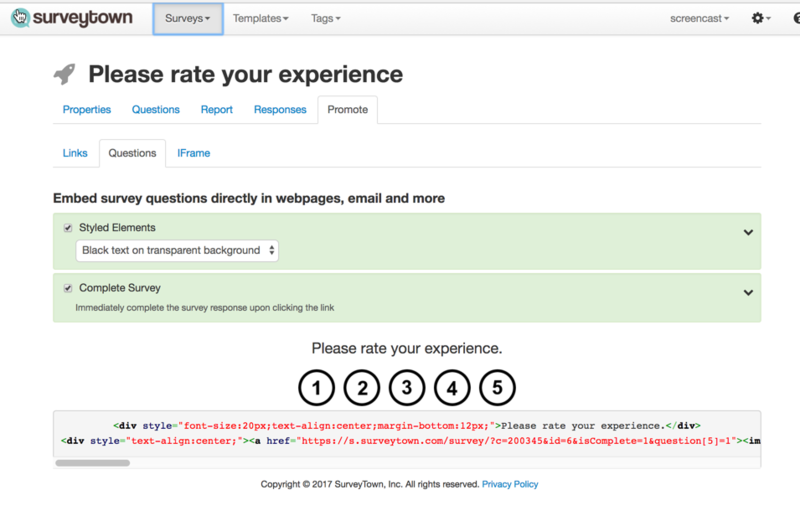 We’ve switched to a more modern look for our survey experiences. This new look is used for mobile, desktop, and email experiences and is a little more pleasing to the eye (or at least we think so). No matter where you’re sending your survey, you can be sure that it will look good and represent your brand well. Now you can see exactly how your question and style options will look during build mode so you don’t need to switch back and forth between build and preview modes. Branding is important. 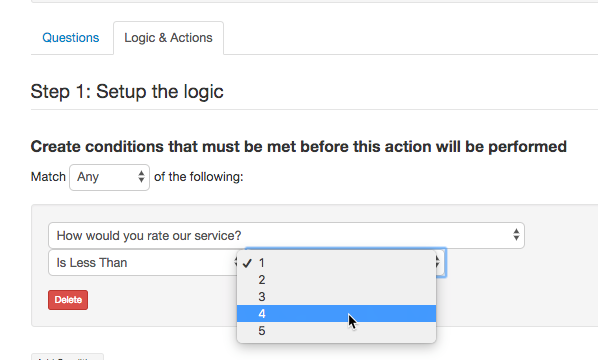 That’s why on top of making some changes to make our surveys look better, we’ve also added a number of options for you to customize your surveys. 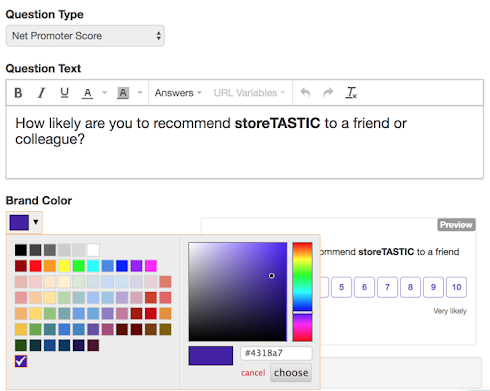 When building your survey, you have the option to change colors, shapes, styles, and more. 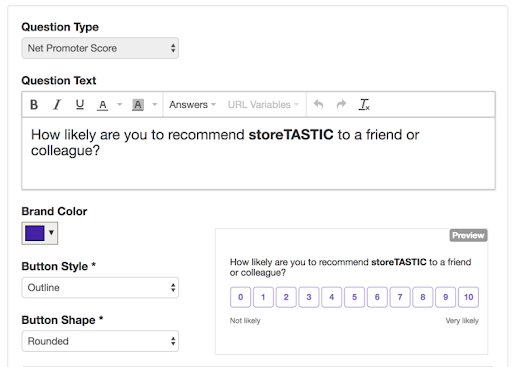 You can select a specific hex code, which makes it easy to keep your surveys on-brand. This also makes it easier for consultants and agencies to white label the platform and provide better branding options to clients. You have more options for adjusting the look of the buttons. Select rounded buttons, circle buttons, or square buttons, then choose whether you want your brand color to just be the outline or to be the fill. All of these style options allow you to not only do something that you think looks better but also to create a survey that better matches your brand’s visual aesthetic. Who said surveys and customer experience questions can’t be fun? Add the finishing touches to your questions with up and down thumbs, emojis, or stars. To make this feature a little easier to use, we’ve also added the ability to change the number of icons that appear. For the thumbs, you’ll want to choose two under the Steps dropdown. You can also choose to use four stars, three faces, or five boxes—whatever works best for you. In case you have something against numbers, we’ve made it so that you can use text on your CES and CSAT questions. Now you don’t have to worry about whether or not your customers are confused about whether or not 1 or 5 means strongly agree. As a company that lives and breathes customer feedback, we’re always listening. We’ve been hard at work making changes that will help you build better questions faster so that you can focus more on analyzing the results. We hope you enjoy these new features! 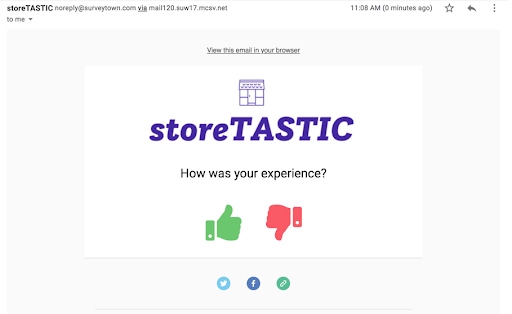 At SurveyTown, we give you the HTML you can copy and paste into an email you send to a customer. 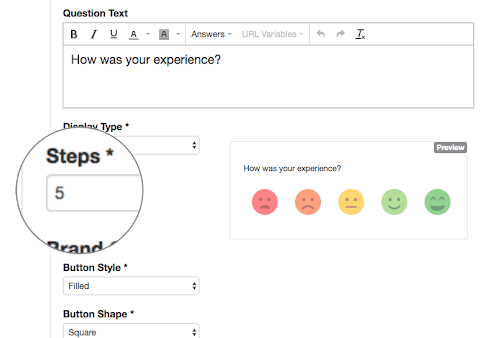 See how to embed a survey question in an email. 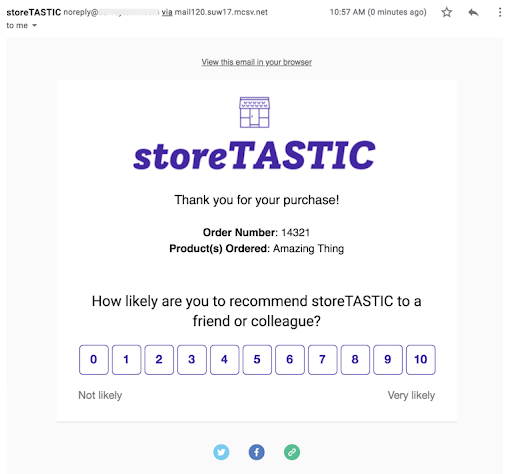 This means that your question will show in the email itself, allowing your customer to one-click in the email and give their response. There are four types of question types that you can embed into your emails. The process of embedding is to go into the “Promote” tab, and then clicking on “Questions” from there you can copy and paste the HTML that you can embed into an email. We created a full video that guides you on how to put the HTML into an email. Performance reviews happen in companies the world over, and some of them are done well, and others aren’t. 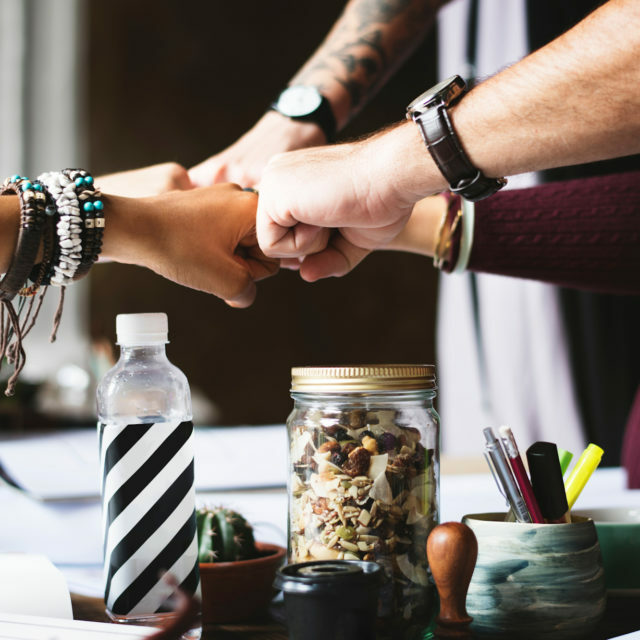 In this article, we’re going to talk about how to conduct employee reviews so you can see the entire picture of your team members’ performance. As the name implies, the 360-feedback review provides a full-circle review of each member of your team. While you’re most likely familiar with the traditional annual or semi-annual review, this type of review is a bit different. How? The traditional review only involves the manager and the employee, so there is only one opinion involved. The traditional review is appropriate in many instances, but it doesn’t give a total snapshot of the employee as a whole. With the 360 review, which is not a performance review in the traditional terms, the employee is given the feedback needed to develop business and interpersonal skills. An identified place to begin working on new skills. A way to measure progress. For example, if your employee needs to improve conflict management skills, you have a starting point to begin measuring progress. The chance for you and the employee to identify personal blind spots of behavior that the employee may not notice. For example, the feedback review may alert you to personality issues or traits that bother co-workers. Just remember: the traditional review is about the job the employee is doing, and the 360-feedback review is about the employee personally. Who Participates in the 360-Feedback Review? A team member’s co-workers provide the feedback on an employee’s performance. The manager requests this information. You’ll find a few different methods for gathering feedback about your employees. In most businesses, the managers request and receive the feedback. They then analyze the feedback paying particular attention to the employee’s behavior. They aren’t just looking for the negative feedback but the positive as well. The goal is not to degrade the employee, but to give them important information about how others view his work and his work habits so he can improve. Some businesses hire external consultants to administer the surveys. This is most often true if it’s the manager receiving the 360-feedback review. Other companies use electronic employee surveys to look at the results objectively in an electronic format. With electronic surveys, employees can score their peers using supplied answers as well as open-ended questions. Let’s look at how to use electronic 360-feedback surveys. One of the easiest and most effective ways to craft a 360-feedback survey is to do it electronically using an online survey software. You can also use the system to help you categorize and compile your results. As with all surveys, don’t overwhelm your staff with survey questions. Think about what you’d exactly like to learn and only ask the questions you’ll use. If you’d like to get started developing your own 360-feedback survey, here are some areas to concentrate on. Be careful, and don’t concentrate on all the areas at once. Ask too many questions, and you’ll lose the concentration of your survey respondents. You might find they carefully consider the first questions and just start clicking buttons if it’s too long. Ask questions about leadership skills such as delegation, listening, approach-ability, communication, coaching, decision making and management. 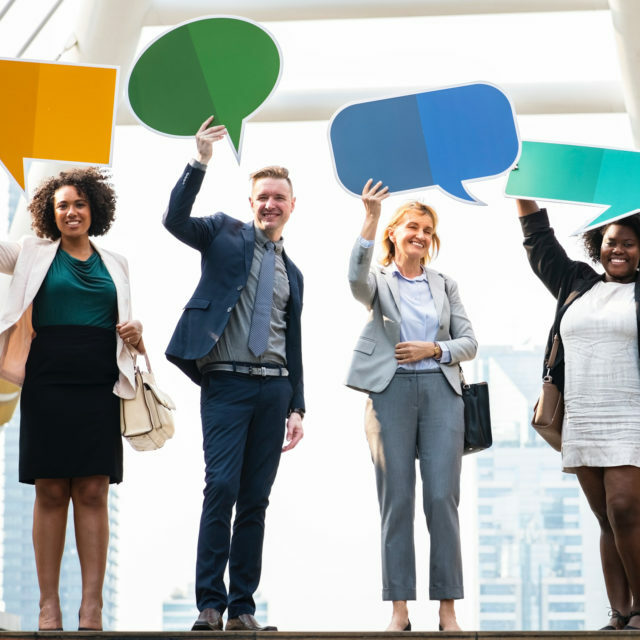 Pose questions about communication skills that include how the staff member listens, how clear they are, and their speaking and networking skills. Don’t neglect to ask about their non-verbal behavior, their ability to give and receive feedback and how they handle constructive criticism. Another area to concentrate on is team skills including their ability to work as part of group, listen to others and their openness to the ideas of others. Ask about organizational skills – can they handle projects, multi-tasking, logistics and fine details? You also want to know about their problem-solving skills – how do they identify problems? Are they creative in solving them? Can they brainstorm and come up with solutions? When helping employees grow, other good questions surround their interpersonal skills and include empathy, confidence, stress management, how positive they are, their negotiation skills, enthusiasm and personal appearance. 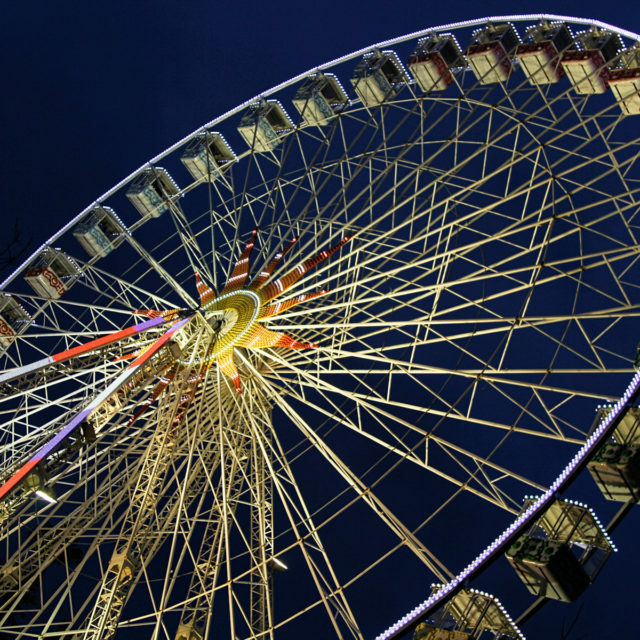 The 360-feedback review is valuable for companies and employees. The review provides a chance to address core competencies and provide opportunities for developmental progress. The 360-feedback survey allows employees a chance to see how they measure up in the areas of work as well as interpersonal skills. This feedback review isn’t about their performance, but how they can grow as people and as workers. You’ll find that the 360-feedback review allows managers to help their employees grow so they are the most productive employees possible. Today’s workers appreciate this type of feedback. It helps them learn more about their strengths and weaknesses while justifying training and development opportunities. You’ll find that 360-degree feedback reviews are important to your company as whole as well as employees and managers. Employees benefit because as we mentioned earlier, they want to improve. Your organization benefits with a more productive workforce and a culture that welcomes feedback and continual improvement. Give the 360-feedback review a try in your company and learn how to help your employees reach their full potential. Why SurveyTown might be the right choice for you. 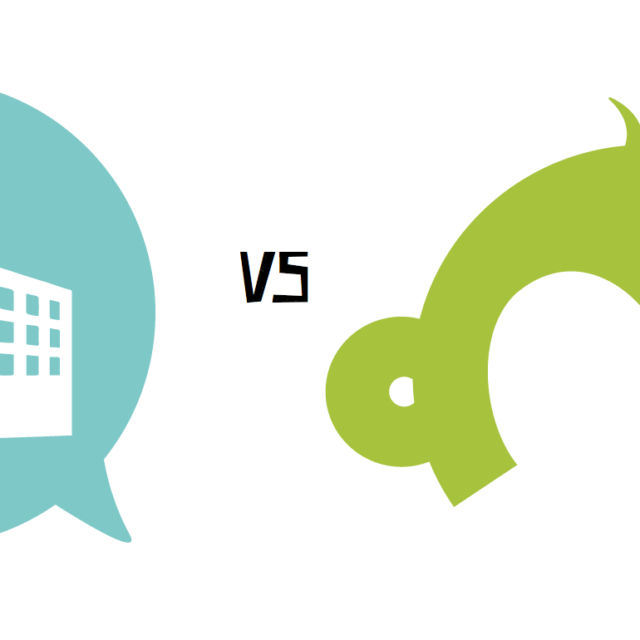 SurveyMonkey is a great tool and we admire them in many ways. But if you are in the market for a survey builder, here are some reasons you might want to take a look at SurveyTown instead. When your respondents finish the survey, you may want to thank them or show your own social media icons to allow them to share their experience with their friends. 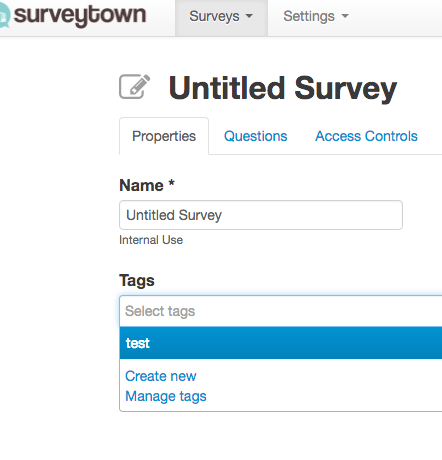 In SurveyTown you can customize your survey success pages with images or icons. Upload them and we will host them for you! Don’t get us wrong, commitments can be good. But SurveyMonkey walls off lots of functionality unless you pay for an annual account. At SurveyTown, we don’t have this limitation. You get full access the functionality of your account with only a month-to-month commitment. We are small (for now) and obsessed with customer service. Working with SurveyTown you get access to a small dedicated team that is devoted to customer service and ready to collaborate. 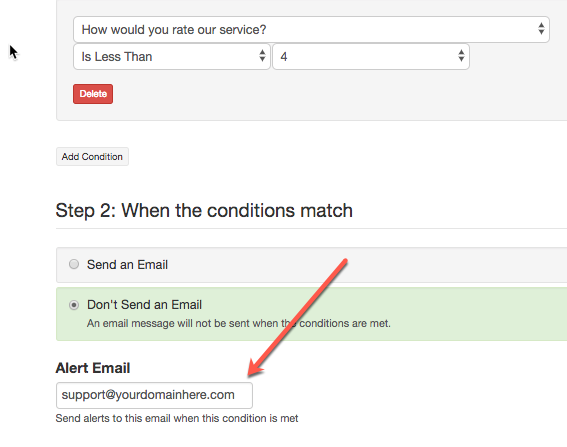 With our URL Variables, you can create questions that address the survey taker specifically. 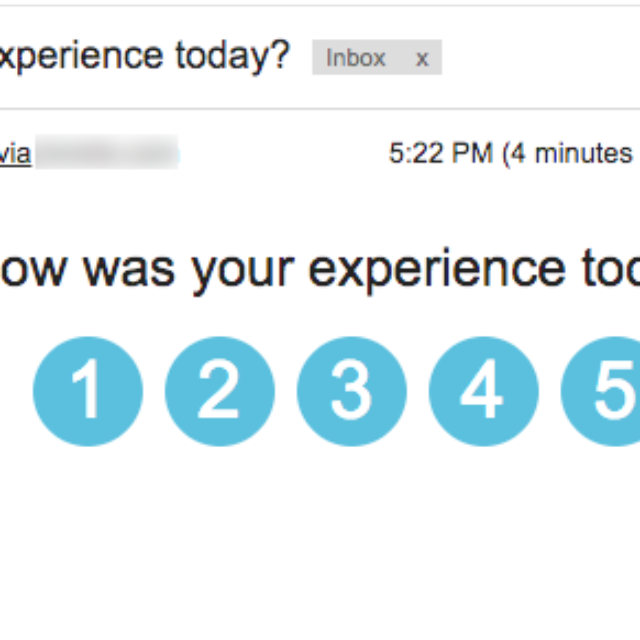 For example, “George, please rate your experience” or “How did you enjoy the performance of ‘Wicked‘?”. 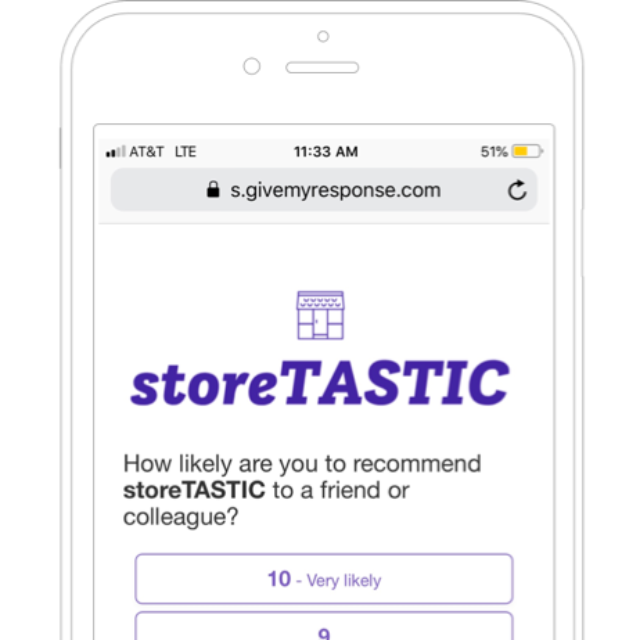 In both examples the question text as been customized to the survey taker given who they are or what they have purchased, which increases response rates. Looking for a survey partner you can integrate with. Our API is robust and includes Webhooks. Also, we give Direct API Access at our Professional Account level which is $70 (instead of SurveyMonkey’s $99) and does not require a yearly commitment. 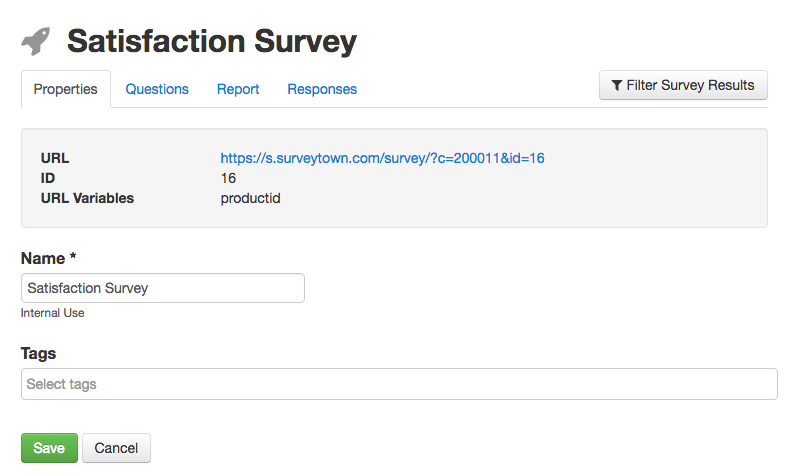 In SurveyTown, we give you the code that you can use to embed survey questions in emails you are sending out. So you can put them in emails generated by Campaigner, Bronto, Mailchimp or any other Email Service Provider. You can also embed them in custom emails you maybe generating or sending out via other applications. SurveyTown is a great fit for agencies because in addition to giving you an “unbranded” URL to host your surveys and allow you to customize success URLs, we also allow you to add your logo inside the application itself and to sell it as your own product to your customers. In addition, SurveyTown gives you the ability to manage multiple accounts through one administrative interface. For more info please see the blog post – the difference between white-labeling and white-label reselling surveys. SurveyTown has tagging instead of foldering which means you can label one survey with multiple tags which is tantamount to putting a survey in two or more separate folders at once. You can also add, edit or delete these tags via our API. You can add additional “Enterprise” users inside of SurveyTown and share administrative privileges with them (or not) for $20 a month. An additional user at SurveyMonkey’s “Platinum” level will double the cost of your account. 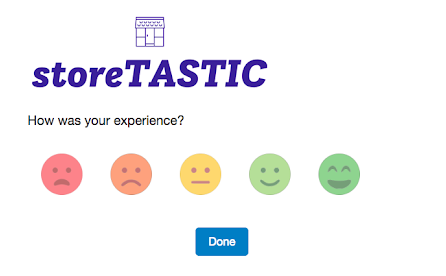 Want to improve your “in person” survey responses. 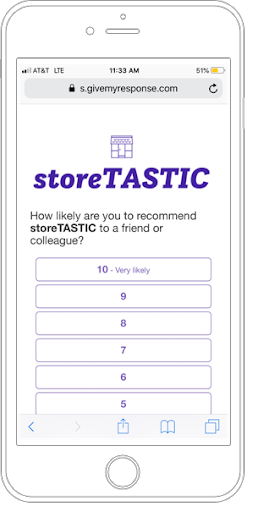 Let’s us partner with you on “Tap Your Phone, Take A Survey”. Feel free to create a SurveyTown trial account or to talk more or schedule a demo please contact us. 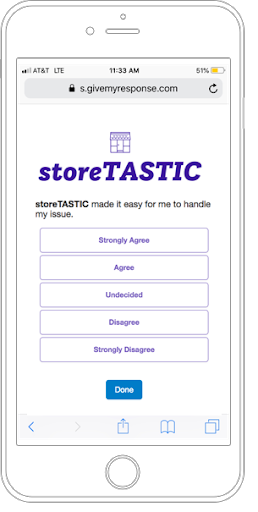 SurveyTowners – We have launched a new version of SurveyTown that includes changes to the survey overview, the introduction of tagging, the unification of surveys with events and some changes to the completed surveys properties tab. Read below for an overview of the changes. Let’s start with the survey overview changes. You should notice right when you login the a new look. The new survey overview page is aimed at make searching and finding new surveys faster and easier. Here’s a screenshot. There are many changes to see here. Events tab has been replaced by the “Events” tag. If you had surveys that were event registrations, instead of finding them in a separate “Events” tab, they are now tagged as “Events”. 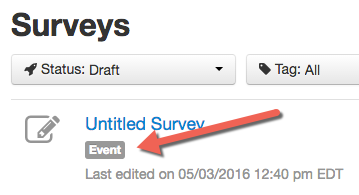 (5) You can find them specifically by filtering for surveys tagged as events. Sort Alphabetically or by Date Created – We added a dropdown that allows you to sort your surveys based alphabetically or by the date they were created. Added relevant dates – We added into the view important dates depending on the type of survey you are looking at. So for Draft surveys, we now show the “Last edited” date, for Scheduled surveys we show “Scheduled” date, for Active surveys we show the “Activated on” date and for Completed surveys we show the “Completed On” date. 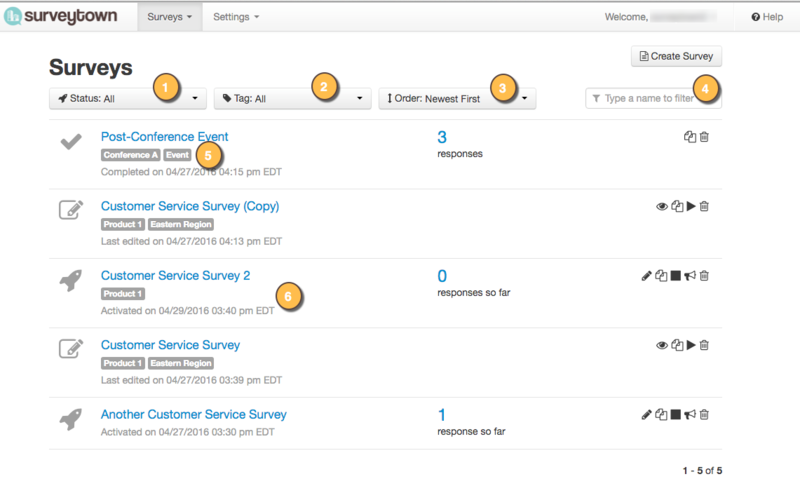 We also added icons that represent the different statuses of surveys next to the survey names. For more help you can see our survey overview help page. To creating a tag is simple. One way is to navigate from the top menu. And then you get the to the tags overview screen which allow you to create, edit, or delete tags. 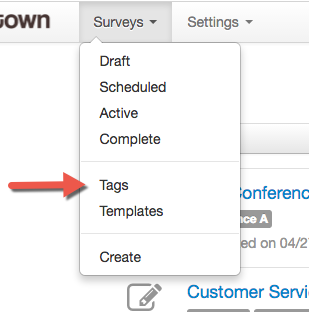 Once you create a tag you can apply them when you create a new survey or even after they are activated or completed. For more you can see our tags help page. Since there was not functional different between an “event” and a “survey”, creating an event versus a survey was a purely organizational concept. Since we have now introduced tags, we are leverage the new tagging system to unify the two concepts and get rid of the redundant tabs. If you had any events, we have automatically created and applied an “Event” tag to any of those surveys and now you can find them by filtering on the tag “Event”. We have added a “Properties” tab in the reports so you can manage the survey tags or edit your survey name and included the information that was normally on the survey overview page such as the survey URL, ID and any URL variables you may have defined. For developers out there, we added the ability to create, edit, apply and delete tags to the API. We also added two other calls changing surveys status and they are. 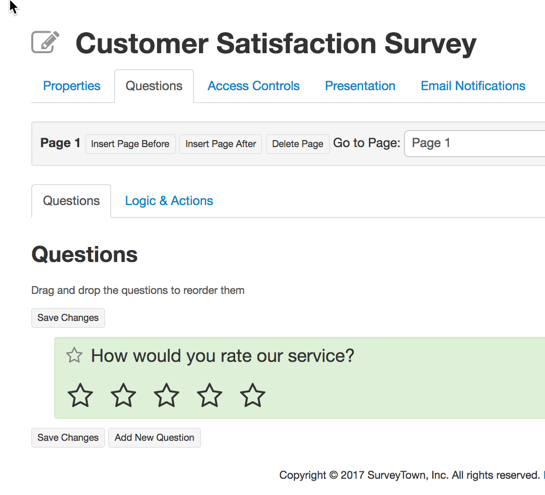 We hope you enjoy the new features and please feel free to give us any feedback to support(at)surveytown.com.